Hartmann, A. K.; Gudipati, S.; Pettenuzzo, A.; Ronconi, L.; Rouge, J. L. Chimeric siRNA-DNA surfactants for the enhanced delivery and sustained cytotoxicity of gold metallodrugs, submitted, 2019. Gudipati, S.; Zhang, K.; Rouge, J. L. Towards Self-Transfecting Nucleic Acid Nanostructures for Gene Regulation, Trends Biotechnol., 2019, in press. Hartmann, A. K.; Cairns-Gibson, D. F.; Santiana, J. J.; Tolentino, M.; Barber*, H. M.; Rouge, J. L. Enzymatically ligated DNA-surfactants: Unmasking Hydrophobically Modified DNA for Intracellular Gene Regulation, ChemBioChem**, 2018, 19, 1734-1739. **Selected as Cover Art for Journal, bottom left. 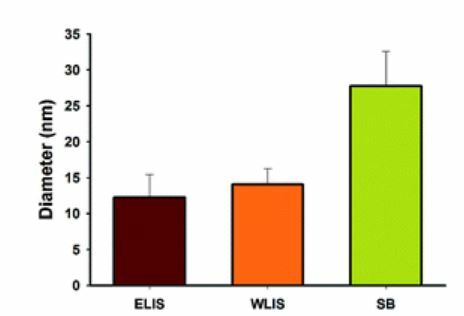 Mazrui, N. M.; King’ondu, C. K.; Awino, J. K.; Thota, S.; Zhao, J.; Rouge, J. L.; Mason, R. P. The Precipitation, Growth and Stability of β-HgS Nanoparticles Formed in Presence of Marine Dissolved Organic Matter, Environ. Sci. Process. Impact, 2018, 20, 642-656. 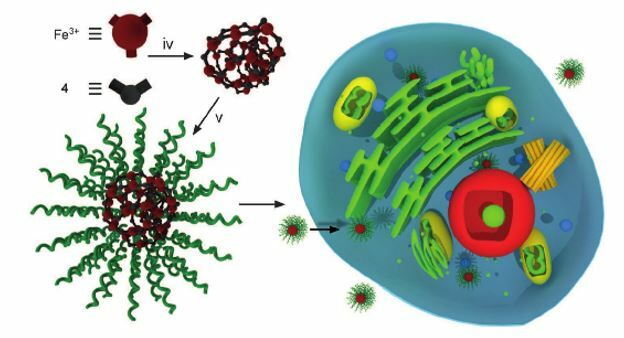 Santiana, J. J.; Sui, B.; Gomez*, N.; Rouge, J. L. Programmable Peptide-Crosslinked Nucleic Acid Nanocapsules as a Modular Platform for Enzyme Specific Cargo Release, Bioconjugate Chem. 2017, 28, 2910-2914. Awino, J. K.; Gudipati, S.; Hartmann, A. K.; Santiana, J. J.; Cairns-Gibson*, D. F.; Gomez*, N.; Rouge, J. L. Nucleic Acid Nanocapsules for Enzyme-Triggered Drug Release, J. Am. Chem. Soc. 2017, 139, 6278-6281. 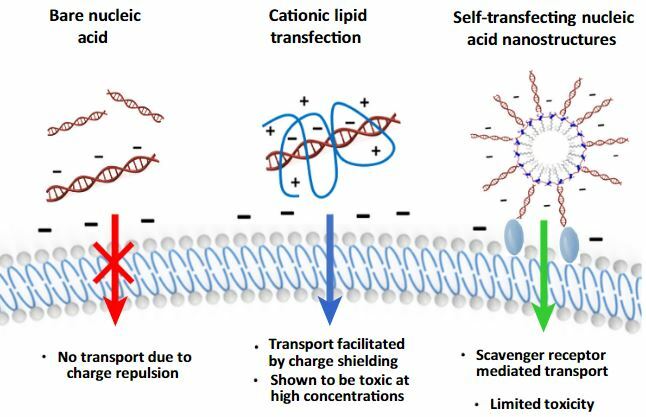 Shen, Z.; Loe, D. T.; Awino, J. K.; Kroger, M.; Rouge, J. L.; Li, Y. Self-Assembly of Core-Polyethylene Glycol-Lipid Shell (CPLS) Nanoparticles and the Potential as Drug Delivery Vehicles, Nanoscale, 2016, 8, 14821-14835. Seo, S. E.; Wang, M. X.; Shade, C. M.; Rouge, J. L.; Brown, K. A.; Mirkin, C.A. Modulating the Bond Strength of DNA-Nanoparticle Superlattices. ACS Nano, 2016, 10, 1771-1779. Rouge, J. L.; Sita, T. L.; Hao, L.; Kouri, F. M.; Briley, W. E.; Stegh, A. H.; Mirkin, C. A. Ribozyme-Spherical Nucleic Acids, J. Am. Chem. Soc. 2015, 137, 10528-10531. Shade, C. M.; Kennedy, R. D.; Rouge, J. L.; Rosen, M. S.; Wang, M. X.; Seo, S. E.; Clingerman, D. J.; Mirkin, C. A. Duplex-Selective Ruthenium Intercalators, Chem. Eur. J. 2015, 21, 1-6. Rouge, J. L.; Hao, L.; Wu, X. 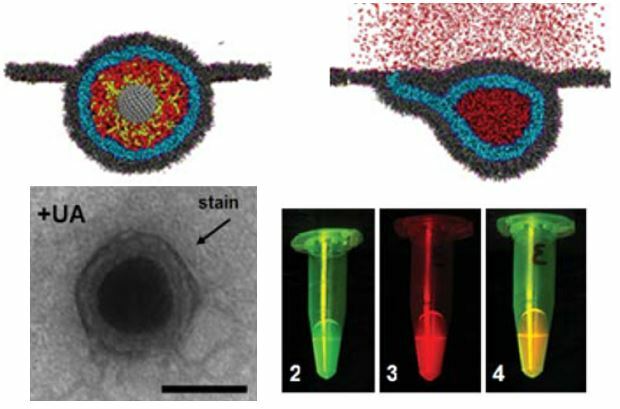 A.; Briley, W. E.; Mirkin, C. A. Spherical Nucleic Acids as a Divergent platform for assembling RNA-Nanoparticle constructs through Enzymatic Ligation**. ACS Nano, 2014, 8, 8837-8843. Calabrese, C. M.; Merkel, T. J.; Briley, W. E.; Randeria, P. S.; Narayan, S. P.; Rouge, J. L.; Walker, D. A.; Scott, A. W.; Mirkin, C. A. Biocompatible Infinite Coordination Polymer Nanoparticle –Nucleic Acid Conjugates For Antisense Gene Regulation. Angew. Chem. Int. Ed. 2014, 54, 476-480. Rouge, J. L.; Eaton, B. E.; Feldheim, D. L. Biomolecules in the Synthesis and Assembly of Materials for Energy Applications., Energy Environ. Sci., 2011, 4, 398 – 402. Rouge, J, L.; Ackerson, C. J.; Feldheim, D. L.; Eaton, B. E. Cooperativity between two selected RNA Pdases in the synthesis of crystalline Pd Nanoparticles., J. Mater. Chem. 2010, 20, 8394 – 8398. Baker, T. A.; Rouge, J. L.; Nesbitt, D. J. Single molecule studies of quantum dot fluorescence intermittency: evidence for both dark and light-assisted blinking dynamics. Mol. Phys., 2009, 107, 1867-1878. Mahon Jr., K. P; Roy, M. D.; Carreon, J. R.; Prestwich, E. G.; Rouge, J. L.; Shin, S.; Kelley, S. O. Tunable DNA cleavage by intercalating peptidoconjugates. ChemBioChem, 2005, 7, 766-773. Santiana, J. J.; Gudipati, S.; Hartmann, A. Rouge, J. L. “Hybrid Nucleic Acid Nanocapsules for Targeted, Enzyme-Specific Drug Delivery and Intracellular Gene Regulation,” Targeted Nanosystems for Therapeutic Applications: New Concepts, Dynamic Properties, Efficiency, and Toxicity, 2018. 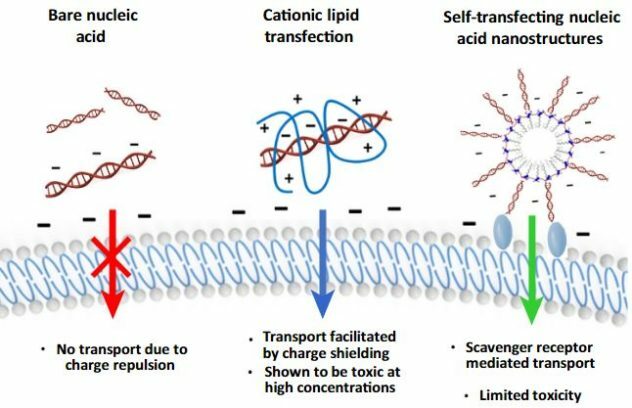 Rouge, J. L.; Awino, J. K. “Multifunctional enzyme responsive Nucleic Acid Nanocapsules as Drug Delivery Agents.” US Non-provisional and PCT Patent Applications filed June 2018. Rouge, J. L. “A Universal Enzyme Responsive Linker for Assembling Ligands on DNA Functionalized Nanomaterials” US Non-Provisional Patent Application filed March 2018. Mirkin, C. A.; Rouge, J. L.; Shade, C. M.; Seo, S. E.; Wang, M. X. “Duplex-Selective Ruthenium-based DNA Intercalators and their application as DNA Staining Agents,” Filed 2015. US 20170082614 A1 (2018). Mirkin, C. A.; Rouge, J. L.; Scott, A. W. “Modified silica shell particles, and methods of making and using the same,” 2015, WO Patent 2015031580-A1, US 2016/0361266 A1.